So after what had seemed like weeks of woodwork, studying, planning and purchasing equipment the big day had finally come. Brewday 1. Gulp!!! 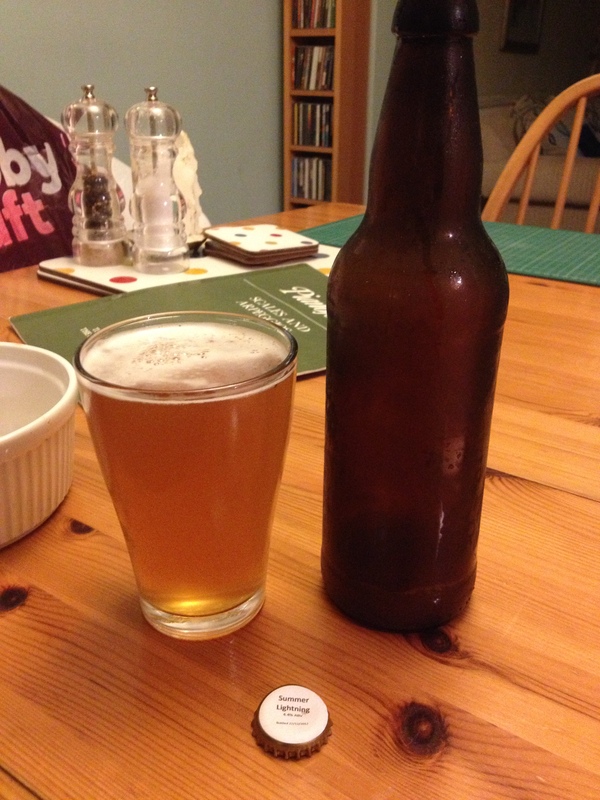 I had decided that for my first few brews I would follow existing recipes which I had found on the internet. This would allow me to concentrate on the process of brewing, and as the recipes had all received good reviews by the brewing community, I would know that if it came out terrible it would have been as consequence of something I had done in the making rather than me selecting a bunch of ingredients that really didn’t work together! The mash called for a temperature of 66C for 90 minutes. 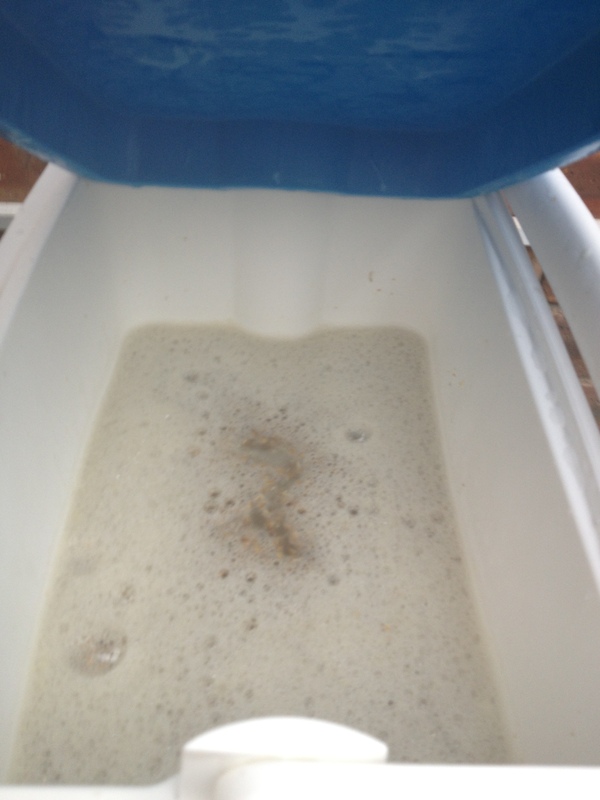 To achieve this water was heated in the Hot Liquor Tun (HLT) to 77C before adding to the mash tun full of grain. After a quick stir to ensure there were no dry pockets the lid went on but as this was my first brew using this equipment I checked the mash temperature every 30 minutes and was pleased to see that the mash tun held temperature perfectly! After the 90 minutes had passed it was time to move the water (now called wort) from the mash tun into the 2nd boiler. 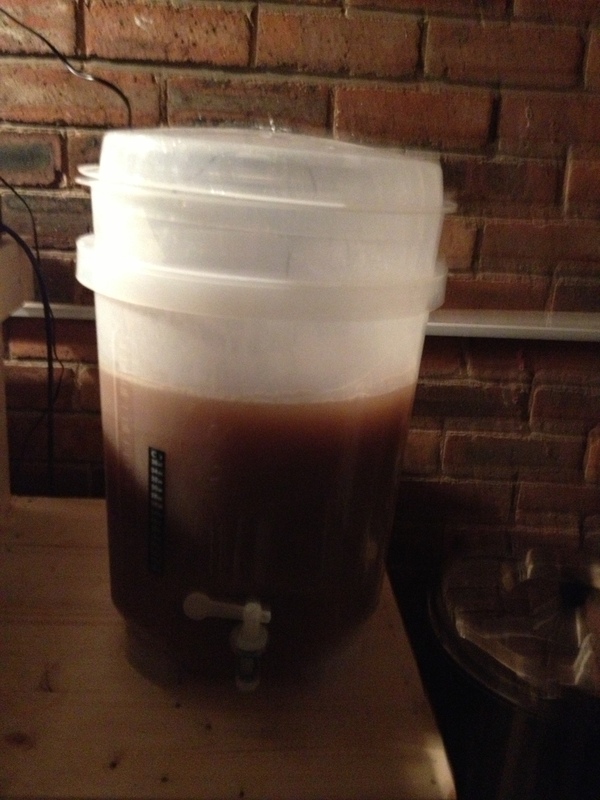 I had decided beforehand, for ease, that I would be Batch Sparging. The first few litres were drawn into a jug and recirculated (very carefully) into the top of the mash tun until the runnings were pretty much clear of any large grain particles. I wasn’t sure exactly what I was looking for at this point so instinct told me that once it looked clearer than it did at the beginning that was probably about right! In a future brew I plan to take photos of 1st running, 2nd running etc as a reference! Anyway, once I guessed the runnings were as clear as they were going to get the tap was opened fully and all the wort was drained into the boiler. The mash tun was then refilled with water, stirred and left to settle for 20 minutes before it too was drained into the boiler using the same process. The Boiler trolley was moved to the garage door and the temperature was turned up. 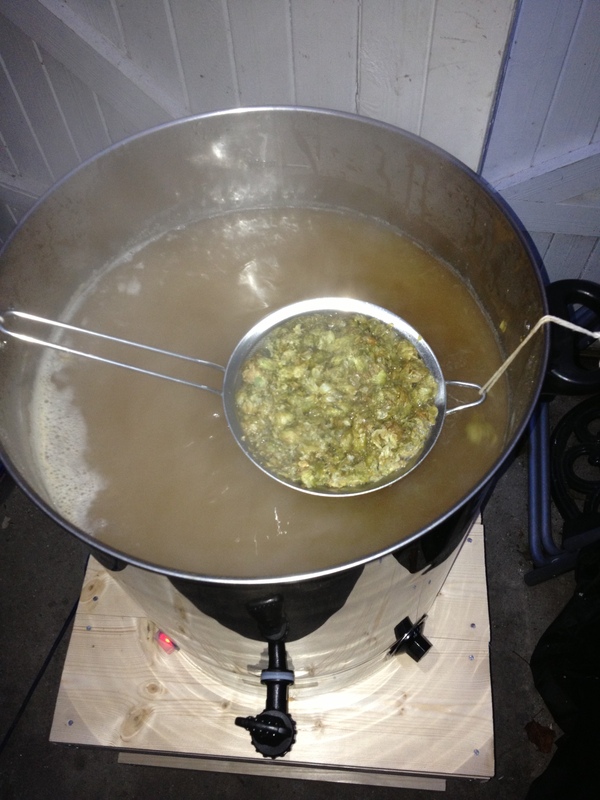 Once the wort hit boiling point the foam on the top subsided and the first bittering hops were added. I hadn’t fitted a hop filter to the boiler, and didn’t have a hop/muslin bag handy so I experimented with this ‘floating’ sieve set up. After 5 minutes or so I abandoned this idea as the hops were not fully immersed in the wort and therefore would not be fully utilised. Throwing caution to the wind I decided to tip the loose hops into the boil and crossed my fingers! With 15 minutes of the 90 to go the late hop additions (for flavour) and Irish Moss (for clarity) were added to the boil. The immersion cooler was also, urm, immersed into the boiling wort to sterilize it. Once the full 90 minutes had passed the boiler was turned off and the cooler tap on and the wort was cooled to 25C so it could be drained into the fermenter. At this point I should mention that despite my tightly crossed fingers the loose hops in the boiler did eventually get sucked into the tap and caused a blockage. The remaining wort had to be jugged out, through a sieve, into the fermenter. 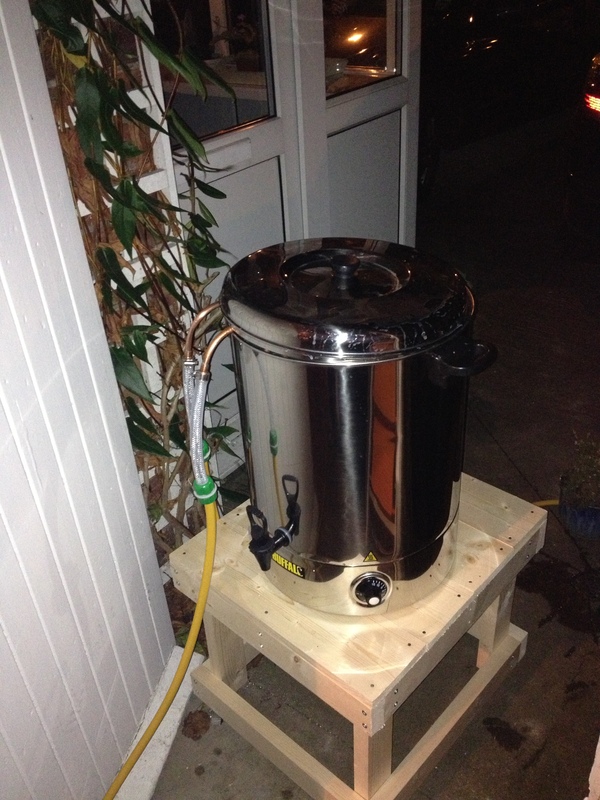 I definitely need to get a hop filter added to the boiler! Anyhow… once the wort had been transferred to the fermenter the liquid was whisked up to ensure there was plenty of oxygen incorporated into it and the dry yeast was added. 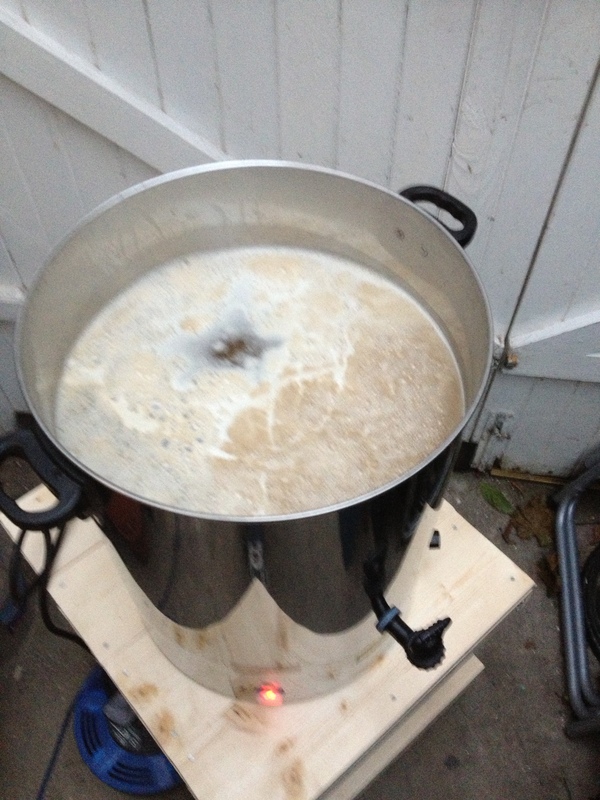 I didn’t make a yeast starter on this occasion and just added the dry yeast to the wort. The lid was placed on, and the small fish tank heater I use to help regulate the temperature was turned on. The whole fermenter was then covered with a thick rug and left to do it’s thing! After two weeks in the fermenter the hydrometer reading told me that fermentation had been completed so the beer was transfered from the fermenter to bottles. 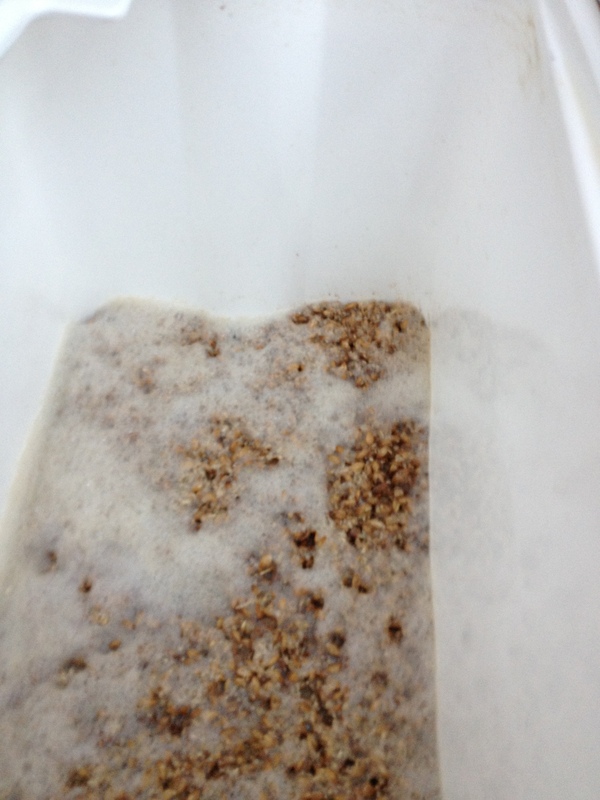 Each has 1/2 tsp of granulated sugar added to aid the carbonation of the beer. Once bottled, and labeled, the box of bottles was hidden under the stairs to condition for 3 weeks. This bottle was opened after 3 weeks of conditioning. It is still a little cloudy, but I am not suprised by this after the issues I had draining from the boiler to the fermenter. Perhaps this will still clear given a little more time. The taste, well, I am slightly biased of course, was pretty darn good! It did still taste a little young and will no doubt improve with age. I’ll test again at 4 weeks and let you know! 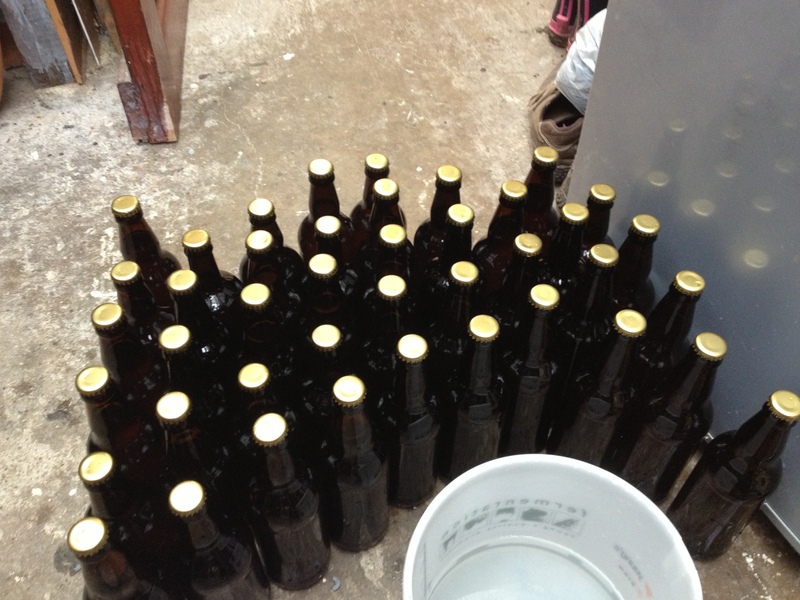 Overall I am very pleased to have completed my first batch of ‘proper’ beer! It wasn’t issue free, but now I know where the tricky points are in the process I can hopefully iron those bumps out on the next batch! Cheers!